Provide comfort for the family of John Ruggeri with a meaningful gesture of sympathy. JOHN A. Age 74, February 2, 2019. Loving son of the late Anthony and Rose Ruggeri and dear brother of the late Anthony Ruggeri. Dear cousin of Rosalie J. Perry, Henry McLane and cousins in California. John was a former professor of Philosophy at Gwynedd Mercy University for 7 years, he also worked for Travel Agency Rosenbluth Travel in Philadelphia and as a Paralegal for Katz Chen and Price Law Firm. Relatives and friends are invited to his Viewing and Funeral Friday mooring 10 A.M. to 12 Noon at Vincent Gangemi Funeral Home, Inc 2232-40 S. Broad Street (at Wolf St.). Funeral Services begin at Noon. Int. SS. Peter and Paul Cemetery. 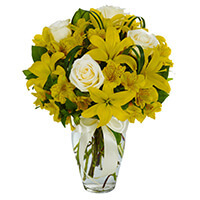 To send flowers in memory of John A Ruggeri , please visit our Heartfelt Sympathies Store. Ian, Becky, Lily, Chloe, and Sue sent flowers to the family of John A Ruggeri . John was kindness personified, and I'm very fortunate to have met him when I needed kindness most. Thanks, John! I am going to miss John a lot. I have spent time with him almost everyday for the last 3 years at Vincenzo's Deli. Everyone here is going to miss talking to him about everything from his love of music and the opera in particular to Phillies baseball. John was a regular at the deli for a very long time and it was his home away from home. People that I meet who know the deli but maybe haven't been here in years immediately ask me how John is doing. John was a kind and caring person and I'll be said to let people know he has passed. I can only hope he is at peace and knew how many people loved him. To John- At first our neighbor, and forever our friend. We will dearly miss you and enjoying sunsets together on the block. With all our love and gratitude. Ian, Becky, Lily, Chloe, and Sue purchased the BRIGHTEST MEMORIES for the family of John Ruggeri .